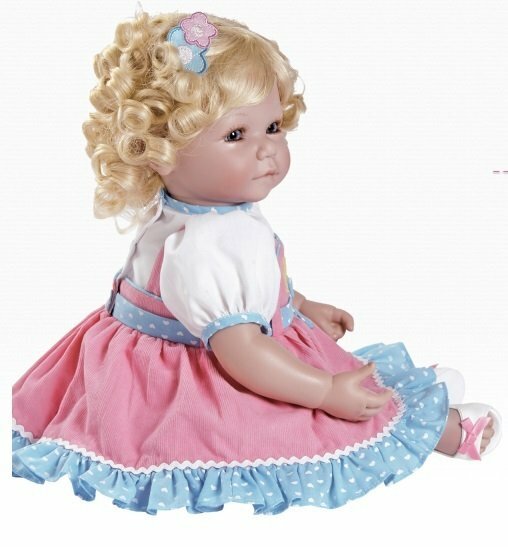 Christening Baby number 03-01237-001 is a Gorgeous 19 inch doll sculpted by the very talented Waltraud Hanl, as part of the Ashton Drake collection. This baby is from a limited edition of only 1000. 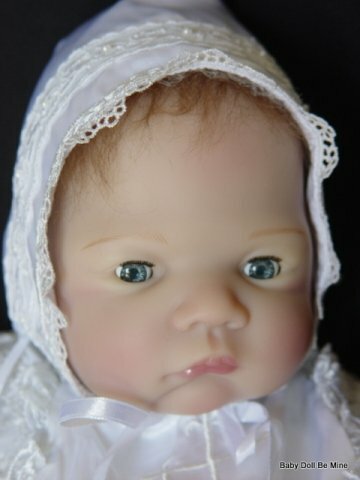 This is the first-ever Christening baby doll with open/close sleep eyes offered by Ashton Drake. 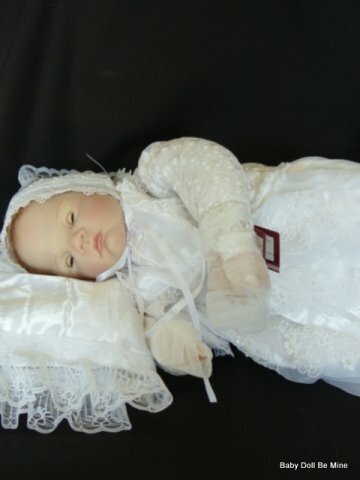 Christening Baby has a vinyl head and below the knee and elbow vinyl limbs on a soft cloth body. The sweet baby has blonde hair and blue eyes. The gown on this doll is amazing! 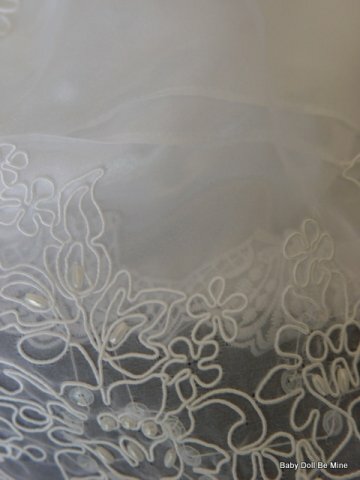 It is made of white satin with a beaded organza overskirt that has an attached full length slip underneath. To keep baby warm, there is a lacy satin jacket with embellishments of sequins and pearls. 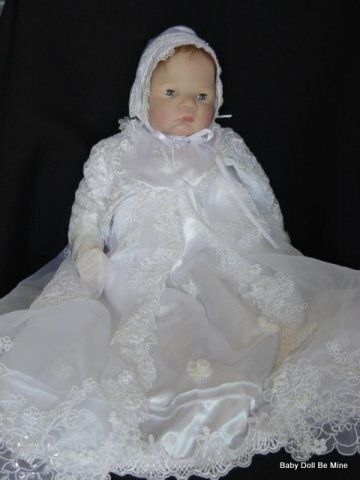 To add to this lovely set, there is a satin bib with a beautiful embroidered cross, a matching lacy satin bonnet, white tights, and white satin baby shoes. The matching blanket and pillow make the presentation complete. The tiny little fingernail and toenails have been manicured. This baby comes to you new in the original box with the wrist tag and COA , though her box was damaged in transit to us.